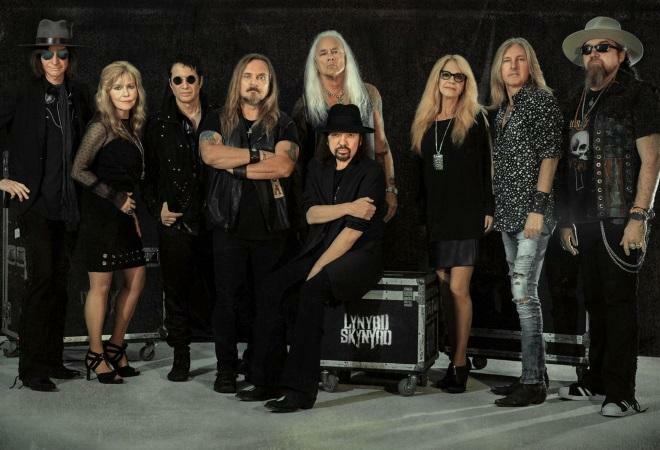 Lynyrd Skynyrd will bring their Southern style guitar rock back to UK shores in 2019 as they prepare to embark on an extensive farewell tour with support from Status Quo. The legendary band has an impressive back catalogue of 14 studio albums and more than 30 million sales worldwide. They first appeared on the scene in the 1970s with their ‘Pronounced ‘Lĕh-‘nérd ‘Skin-‘nérd’ album, featuring hit tracks ‘Gimme Three Steps’, ‘Simple Man’, ‘Tuesday’s Gone’ and ‘Free Bird’. Their follow-up album ‘Second Helping’ included the much-loved hit single ‘Sweet Home Alabama’, which has sold over two million ringtones and established the Rock Hall of Famers as cultural icons across multiple generations. Their most recent album ‘Last of a Dryin’ Breed’ dropped in 2012. Tragedy struck the band in 1977 when they lost three members including Ronnie Van Zant and Steve Gaines in a plane crash. Despite going on to lose further vital players Billy Powell, Ean Evans, Allen Collins, Leon Wilkeson and Hughie Thomasson, the band continues to rock on with their unique blend of classic American rock. On the upcoming tour, founding member Gary Rossington will perform alongside current members Johnny Van Zant, Rickey Medlocke, Mark “Sparky” Matejka, Michael Cartellone, Johnny Colt, Peter Keys, Dale Krantz Rossington and Carol Chase.